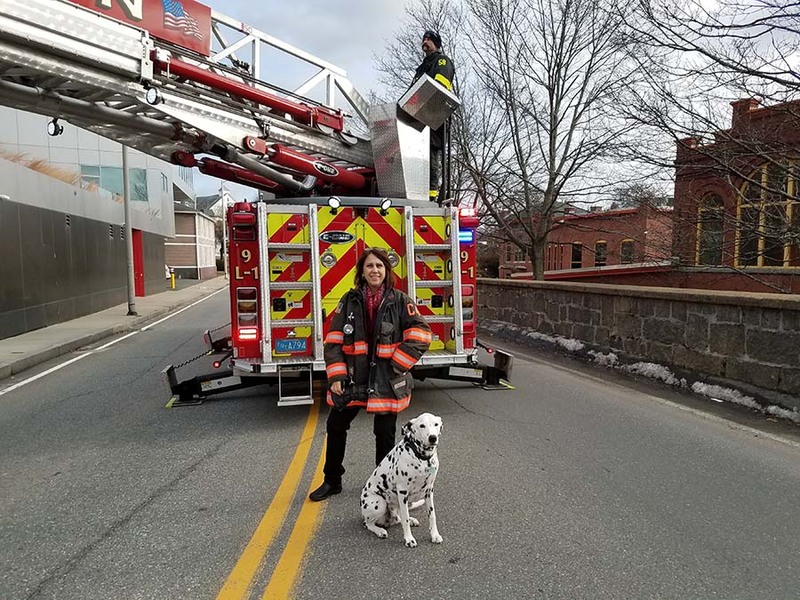 Catherine Livingstone Shares the Holiday Spirit with Clinton's Fire Department - Bryley Systems Inc.
Cathy Livingstone, co-owner of Bryley Systems, stepped outside the office to watch the Clinton fire department hang holiday decorations using their ladder truck. 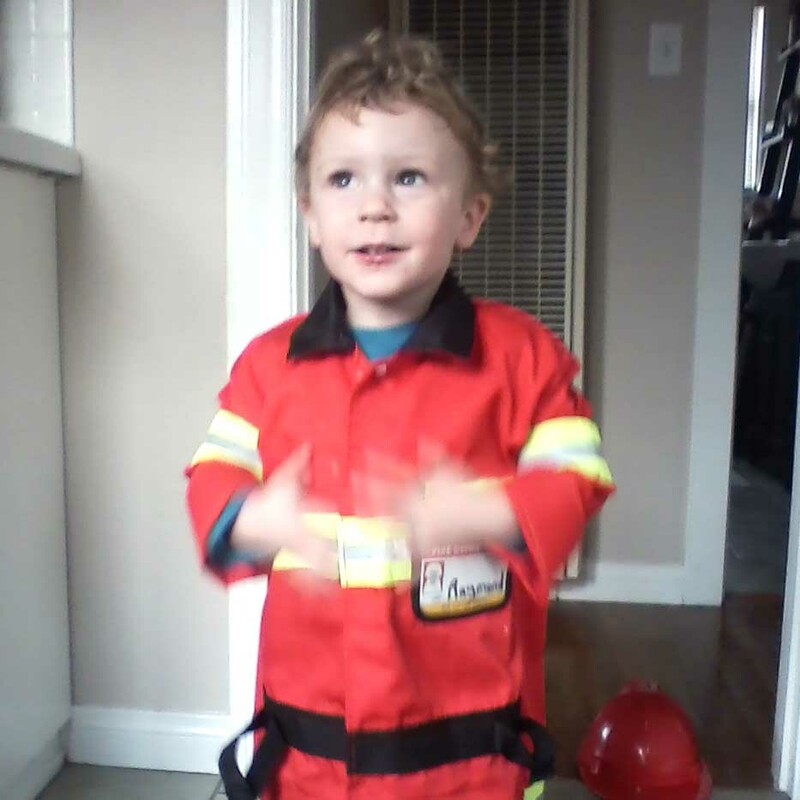 She told them how her 2 year old grandson wants to be a fireman and that he loves firetrucks. Next thing you know, they had her dressed and ready for action with Dewey the fire dog at her side. They took this picture, that will be sent to a very happy little boy who will think his Grandma Cathy is the “coolest Grandma ever!.” A special thanks to the Clinton fireman for making a spur of the moment truly memorable.